The above arrangement looks so lovely. They were all flowers from my garden. It is surprising how nice you can make flowers look when you put them together with a few different leaves either in a vase or in (wet flower oasis) in a a basket. 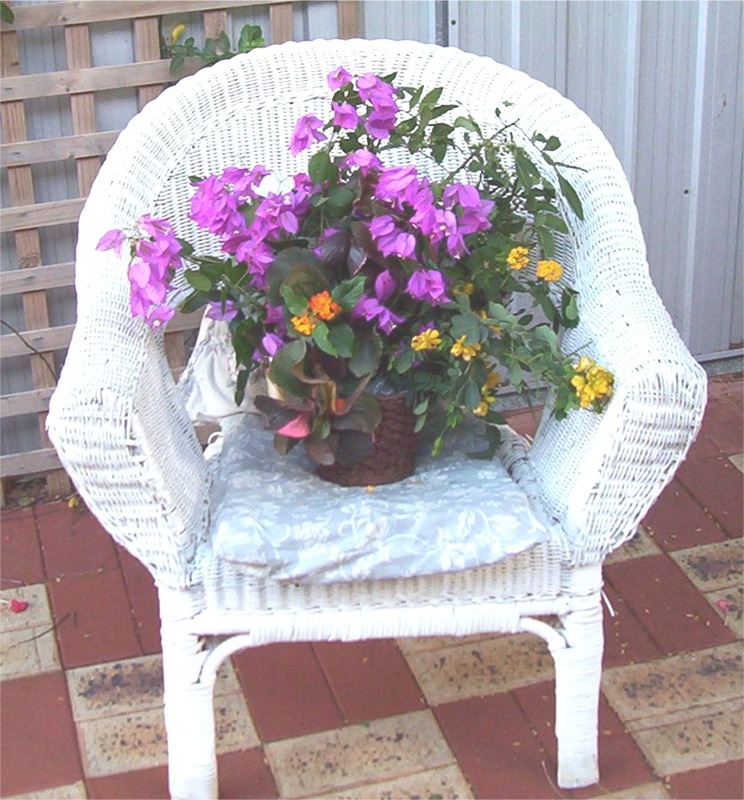 Sit the oasis in a plastic bag so that it does not drip into the basket or onto your furniture. 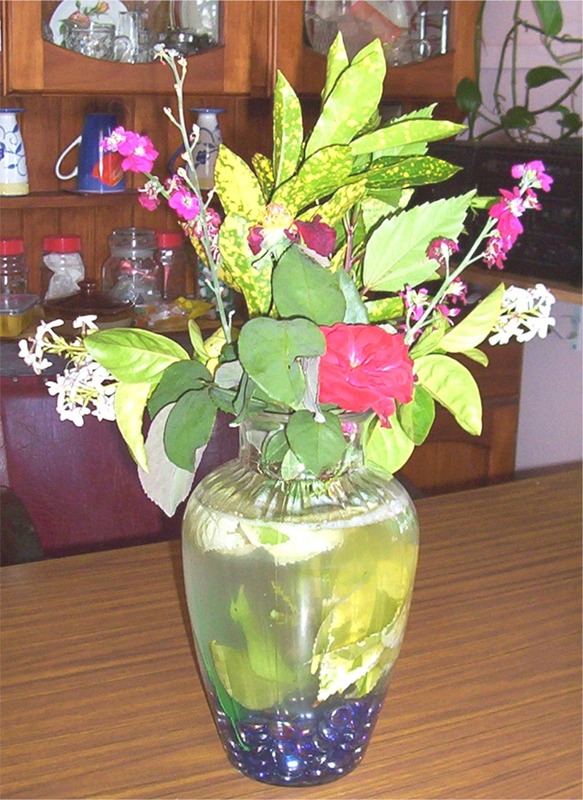 You can make some lovely presentations by picking a few odd flowers and leaves from around your house or garden. I would like to say that The Lord God made all these beautiful flowers for us to enjoy day by day. 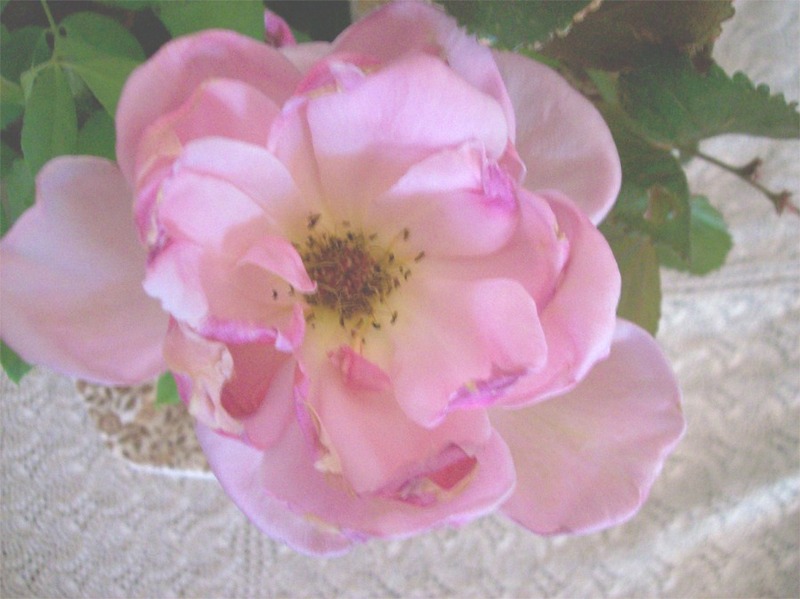 I hope you have the chance to look at a flower today and marvel at the soft petals and especially the perfume. Yes I know that some do not have any perfume and some smell peculiar – however there are special reasons for those. Today is the day that The Lord has made – let us rejoice and be glad in it. I hope you have a lovely day today. This was one of our Odd looking Hanging Baskets. It had a Sculptured like appearance. I thought it looked great – especially when the tiny orange trumptet like flowers were out in bloom. I don’t seem to have a photo of them, sorry about that. 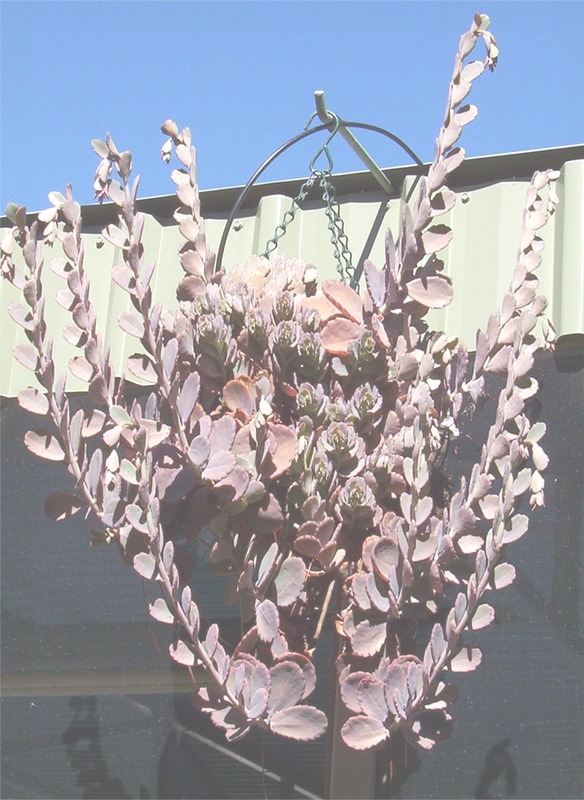 The plant is a succulent and although the stems grow downwards they then change and turn up towards the sun before the flowers appear on them. The whole thing looks very artistic. Because the above plant lifts its stems upwards before the flowers appear I thought this poem would be quite nice today. for anything us mortals need. for the likes of Me and You. I Pray that you have a lovely day today. For our Basket of Flowers today we have a Vase of Flowers. This lovely arrangement of Flowers with Marbles was for my Birthday from my Granddaughter. It goes to show that you can use Marbles in the bottom of a clear Vase to give a nice effect. This adds interest when you have visitors and makes a good talking point if can put the vase where they can see it. Well I don’t have a poem for today but you may like to know that sometimes I take my breakfast – (a bowl of cereal & fruit etc.,) outside to eat as it is warmer than being indoors first thing in the morning. So surprise, surprise – as I walked down the driveway to the front gate, looking up I saw a Pelican flying overhead. What a lovely thing to see, that great bird flying around. Yes we do live quite near the Ocean but that is the first time that I can remember seeing a Pelican fly so close to home. Have you ever thought of having your breakfast outside instead of sitting at the kitchen table……you never know what you will see in the world outside. Here is a Bible Verse to think about. You may like to check this out in your Bible to see what the answer is. As for myself I beleive it is right to do so.! Have a Lovely day today – maybe find some Marbles and make a Flower Arrangement especially for yourself today. Even a small arrangement in a Clear Drinking Glass looks good. With Love and God Bless You. Here is a Basket of Flowers for today. 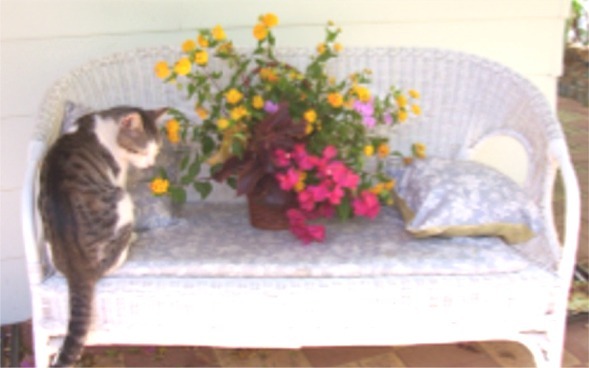 It is good to see a nice basket of flowers, even nicer to see our cat Harry sitting there. He is not with us any more as he has gone to cat heaven. However he was a lovely cat very wise but shy and sometime affectionate. As a token of his affection he would bring a mouse to the back door as a present, so I used to thank him, then leave him to enjoy his prey. See my servant will act wisely, he will be raised and lifted up and highly exalted. That is what Isaiah: Chapter 52 verse 13 says – in the Bible. So when you think of it – Harry cat was acting wisely in catching his prey and bringing it as a gift to us. Maybe we should act more wisely as we go about our daily tasks, then hopefully The Lord will lift us up. As servants of the living God it is a privilege to be able to do things for Him, to bring our gifts of obedience to Him, is something special. These are the days of our lives today, tomorrow, yesterday. where have we been, where will we go? Some have been to the depths of despair. Some to the height of glory. Today is a new day, a time to begin. Start with a clean sheet at the beginning of morning. today will hold the picture that we are painting with our life. The mornings can start with a Prayer or a curse. 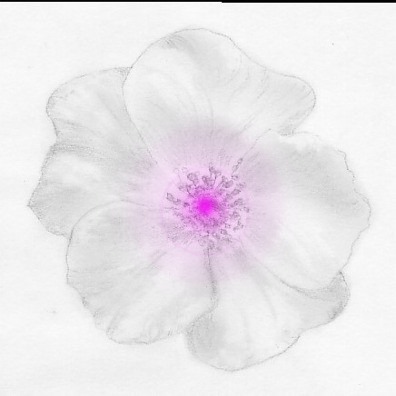 like petals unfolding until the flower is full bloom. So lets start the day with a prayer and blow away the gloom. Let us get up from our bed, try to smile and rejoice. Remember God has given us a voice. Use it bless those we see today. Tell them you love them, enrich their day. We shall be blessed when we live this way. Today is ours to live. * So I pray that God will Bless us today.